JA Electronics is your source for platinum, rod, graphite, and magnesium anodes. 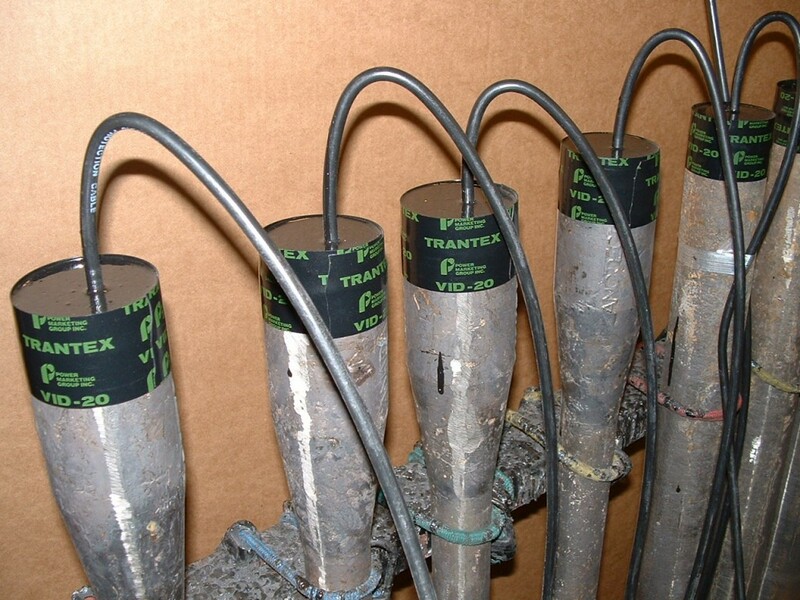 We provide all backfill materials required for galvanic and impressed-current anodes in your cathodic protection system. Contact us with your specifications. 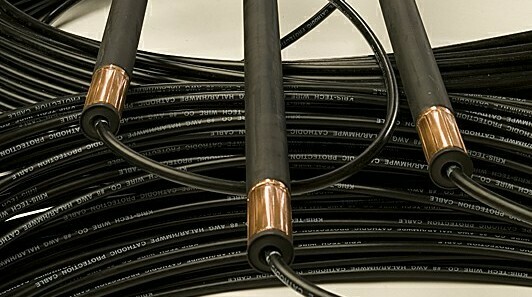 Available in ⅜”, ½”, ⅝”, and ¾” rod diameters, of various lengths, to meet your specific requirements. 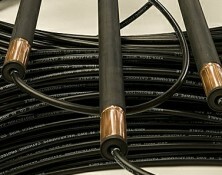 Cast iron anodes are designed for long life protection in a properly designed impressed current system. 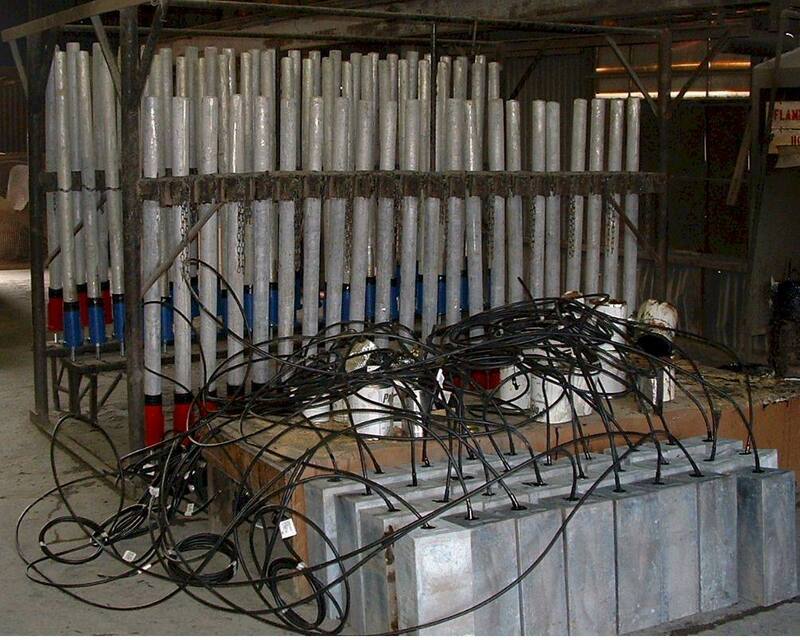 Corrosion system engineers optimize the output of the ICCP (impressed current cathodic protection) system to provide sufficient current to control corrosion of the protected structure, at the proper voltage for the metals and environment of the application. Anotec silicon cast iron anodes from JA Electronics withstand drop impact tests to more than twice the height of sand cast anodes, with ISO 9001 conformance to assure strength, chemistry, and production lot traceability. High silicon cast iron products for ICCP systems are available in a variety of shapes including solid and tubular anodes. Anotec has developed rigid controls for the chill casting process in accordance with ISO 9001 to assure consistent cast iron anode production with improved impact resistance and corrosion resistance. 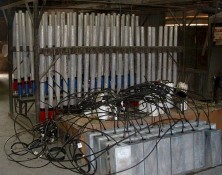 Mixed metal oxide anodes are titanium tubes, rods, or wires with a mixed metal oxide coating. Mixed metal oxide is a crystalline, electrically conductive coating that activates the titanium and enables it to function as an anode. 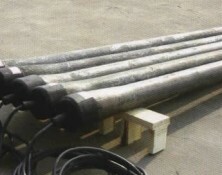 As a result of the low consumption rate of MMO anodes, the dimensions remain nearly constant during the life of the anode providing a consistently low resistance. 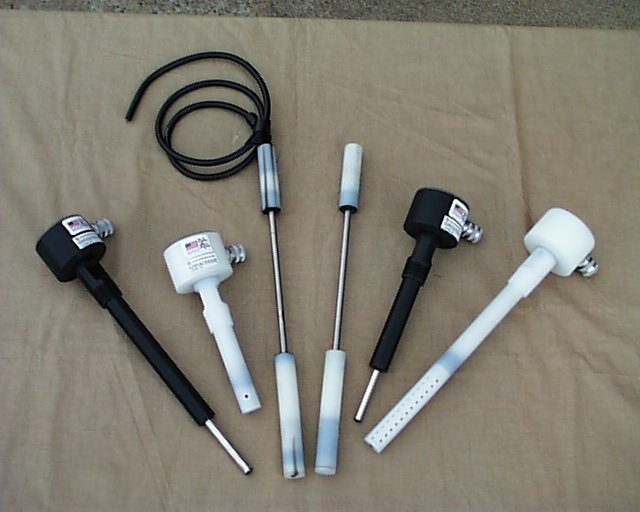 Other MMO anode types include conductor bar, current distributor, disk, canister, power feed connection, and ribbon. 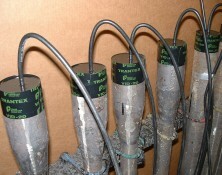 These anodes are also available with a variety of canisters and cables.